Distinguished Ladies and Gentlemen of the Press, Fellow Liberians! A little over a year ago, through the democratic process, Liberians elected a new government to, among other things, lift them out of poverty; unwaveringly tackle corruption; and entrench democratic culture and values in the country. The country’s fight against corruption had experienced sharp decline under former president Sirleaf, after failing to address impunity and prosecuting her family members and cronies, despite establishing key anti-graft institutions and passing groundbreaking anti-corruption laws and policies. The incoming of the Liberia Anti-corruption Commission (LACC), Financial Intelligence Unit (FIU), Liberia Extractive Industries Transparency Initiative (LEITI), revamping of the General Auditing Commission (GAC) and Public Procurement and Concession Commission (PPCC) created appreciable foundation and legal framework for a successful anti-corruption regime, but were not fully supported, morally and financially, to effectively operate. Importantly, also, in 2014, the Code of Conduct was enacted to guide the behaviors of public officials, ensuring that those making decisions around procurement, contracting, and licensing declare their assets, incomes and liabilities to aid in tracking their activities, as illicit enrichment and accumulation of illegal wealth had characterized the actions of government officials, with just few exemptions. The CDC-led Government, then, had appreciable solid foundation and legal framework to build a strong and successful anti-corruption regime. Meanwhile, before and immediately after inauguration, CENTAL made several reform and policy recommendations to President Weah and the new government, in support of the Fight Against Corruption. Among other things, we emphasized the need for increased political will; adequate moral and financial support to public integrity institutions; comprehensive audit of the past government and prosecution of former allegedly corrupt officials. Also, we recommended the establishment of specialized court to prosecute corruption cases; ensuring increased independence of public integrity institutions; and respect for and full compliance with relevant anti-corruption laws and policies, including the Code of Conduct for Public Officials. Furthermore, in May 2018, CENTAL published a monitoring report covering the first 125 days of the CDC-led government, in which we identified several excesses of the regime and recommended solutions. 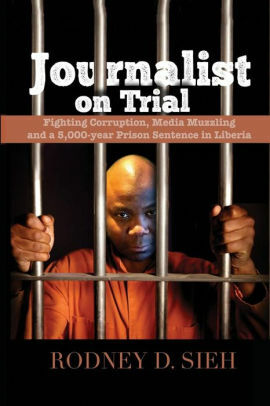 These include removal of corrupt officials of the Sirleaf Government from the system; reversal of the President’s decision to cherry-pick head of secretariat of the Liberia Extractives Industries Transparency Initiatives; timely declaration of assets, incomes and liabilities of public officials, including the Presidency, Legislature and Judiciary; and creating an enabling environment for advocates, media and civil society to thrive. With nearly one full year of governance, the signs on the wall are not very encouraging–President Weah has not honored key recommendations nor lived up to commitments made to robustly tackle corruption and create an enabling environment for public integrity institutions to satisfactorily perform. Despite few notable positive actions, including timely investigation of the recent corruption scandal involving senior management of the National Housing Authority (NHA), high level of compliance of the Judiciary with the asset declaration requirement (333 out of 370 officials) and withdrawal of the appointment of Cllr. Charles Gibson as Justice Minister, generally, there is extremely limited progress in addressing corruption in the country. President Weah and the CDC-led government are ignoring commitments made, before, during and immediately after the 2017 General and Presidential Elections, to address impunity and robustly fight (against) corruption. Instead, several key government’s actions and decisions are counterproductive to established good governance efforts and respect for international best practices around nurturing and sustaining an effective anti-corruption regime. 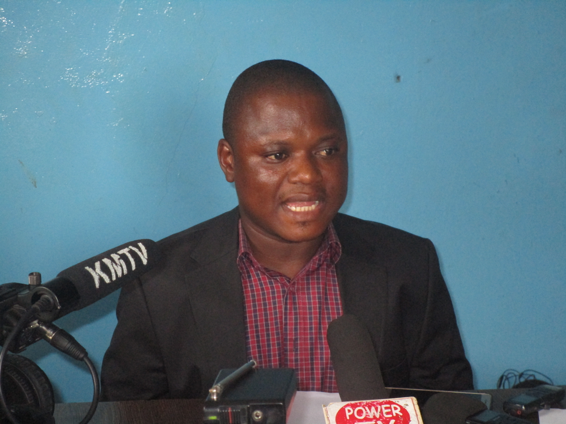 The Liberia Extractives Industries Transparency Initiative (LEITI) still has a cherry-picked head of Secretariat and remains suspended by the EITI Board for “not publishing its report for fiscal period ending June 2016, within the 1 July 2018 deadline”. According to the Liberia Anti-corruption Commission, of over 460 officials of the Executive Branch of Government, only 92 (20%) have declared their assets. Meanwhile, the Legislature is fully non-compliant, as no member of that body has declared with the LACC. It must be noted that the President and most public officials who declared their assets did so very late, in violation of the Code of Conduct for Public Officials. Besides, many of the pro-poor projects implemented, especially under the2017/2018 recast budget, were not in compliance with established public procurement guidelines and practices. The status of the Block 13 “Catch Me if You Can” corruption scandal is in limbo, while investigation into the Missing Billions Saga has been very slow, despite the extremely grave nature of the scandal/incident with serious security and reputational implications for the government and country. Worrisomely, also, the President and the House of Representatives have agreed to de-tenure key public integrity institutions, including the Liberian Anti-corruption Commission (LACC), Financial Intelligence Unit (FIU), Public Procurement and Concession Commission (PPCC) and Liberia Extractives Industries Transparency Initiative (LEITI). There are limited efforts, if any exists, to comprehensively audit the past regime and prosecute apparently corrupt officials of the Sirleaf Government, including those who presided over the bankruptcy of the National Oil Company of Liberia (NOCAL). All of the above, coupled with allegations of public officials acquiring and developing multiple properties, with barely one year in power, seriously undermines and brings into question the transparency credentials of the government, whose pro-poor agenda should be grounded on unprecedented levels of good governance, transparency and integrity. For example, removing tenures from the LACC, PPCC and other public integrity institutions will not only make them vulnerable to manipulation bythe Presidency and other higher-ups in government, but also worsen the country’s disappointing fight against corruption. And this will have serious implications for the country’s reputation and government’s professed commitment to robustly tackle corruption and other financial and economic crimes in the country. Several questions linger: What does the President hope to achieve from attempting to micro-manage these integrity institutions? What learning and best practices are informing this decision, when lack of financial autonomy, limited moral and financial support to these institutions are already undermining their work? Are we now witnessing an era where Liberia is becoming an island and operating in isolation of independent global best practice? This move is in violation of international best practices and frameworks that provide for the establishment of institutions like LEITI, LACC, FIU, etc. What does this say about promoting imperial presidency? Where is the independent oversight role of the Legislature, when practically seen approving everything submitted by the President, reneging on its independent oversight role in critically reviewing bills and other documents submitted by the President? Glaringly, the history of having “Yes Sir” officials of government, ministers and heads of public corporations, have been extremely negative for the country and the Liberian people. While other countries around the world are anxious to make their integrity institutions more independent and autonomous, we are treading the opposite path. This does not augur well for us now or in the near future. We do not see how already ineffective public integrity institutions will improve if made vulnerable to the presidency and other higher-ups in government. CENTAL is deeply concerned about these developments, which have the inclination to further compound the harsh economic realities Liberians are confronted with, in part due to high level of corruption, limited livelihood opportunities and high costs of basic commodities. We like to admonish President Weah against repeating mistakes of former president Sirleaf, when she, among other things, shielded her officials; appointed persons with tainted records in key government positions and gave limited moral and financial support to integrity institutions to effectively operate. Liberia has gone through a lot already, we cannot afford to reverse minimal gains made in establishing basic foundation to promote good governance, transparency and accountability in the country. In view of the above, we wish to recommend the following actions, which are urgently needed to salvage the country’s declining image, compounded by the recent missing billions saga, suspension of Liberia from the global EITI process as well as current attempts to make integrity institutions vulnerable to political manipulations. That the independence of LEITI be restored by fully reconstituting the Multi-stakeholders Group (MSG); giving the MSG leverage to appoint head of secretariat of the institution as well as comply with EITI Board’s ultimatum to publish outstanding report covering the period ending June 2016. That the Legislature properly scrutinizes and conducts due diligence on bills and other submissions from the Executive. Endorsement of nearly everything from the Presidency is troubling and counterproductive to their effective oversight and due diligence role, as provided for in Article 34 of the 1986 Liberian Constitution. That the media and civil society remain constructively engaged and objectively critical of the regime, ensuring that government’s activities, including those of the Presidency, Judiciary and Legislature are independently assessed and scrutinized. The democratic culture has to be nurtured and sustained, if Liberia must make meaningful progress in lifting its citizens out of poverty, largely brought upon them by poor decision-making and successive corrupt governments and leaderships. May God Bless Us All and Save the State!